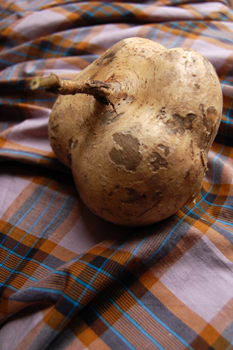 (Yam bean) Tropical vines produce turnip-shaped tubers with a sweet white flesh. Best eaten raw, but is cooked also. Has low starch and calories. Produces largest tubers in tropical areas, but will produce equally tasty, smaller tubers in more temperate areas with a 4-5 month growing season. Start indoors 6-8 weeks before outdoor planting time.